The theme behind this work is flowers blooming in a milliard of colors in Shangri-la，the land of eternal life. The flowers represent life，the soul and hope. 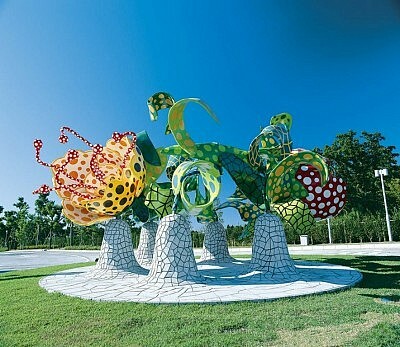 One can sense the innocence of the artist through these imaginary flowers，which anyone may have dreamed of as a child. By sheer chance，the artist’s message has always been inside our hearts.